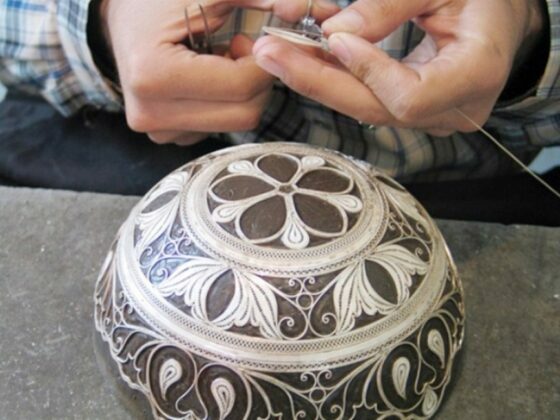 The city of Zanjan in north-western Iran has been registered as the national city and birthplace of filigree art, which dates back to several thousand years ago. Filigree is a delicate kind of jewelry metalwork, usually of gold and silver, made with tiny beads or twisted threads, or both in combination, soldered together or to the surface of an object of the same metal and arranged in artistic motifs. 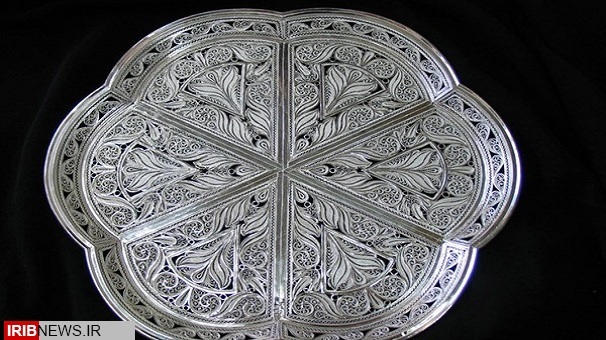 Filigree is always considered one of the most original handicrafts in Zanjan province. This art has developed so well in Zanjan that over the past two years, two artists namely Abdulhamid Moharrar and Mohsen Yazdanshenas have won UNESCO titles for their art. 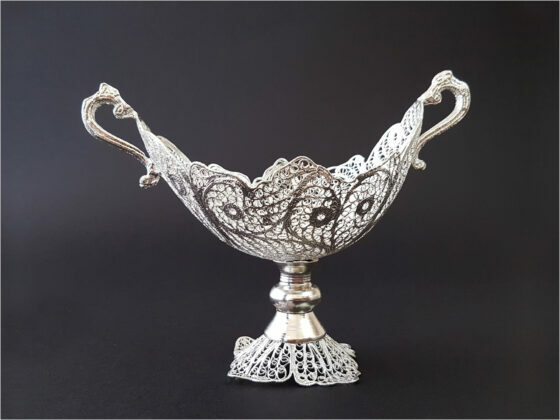 In the filigree industry, the master of the art melts the metal and puts it in a special mold and produces wires of 1 cm in diameter. 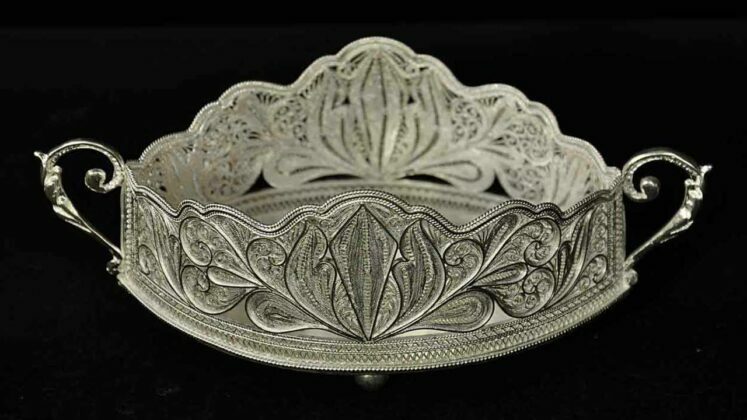 These wires turn into silver rods with a diameter of one millimetre to be used in filigree. By inserting these wires in molds that are usually made of boards and waxes and giving them various shapes, silver wires are connected by heat and then different types of dishes are made out of them. Hammering, heating, rolling, and molding are among the tasks performed by a master of the art. 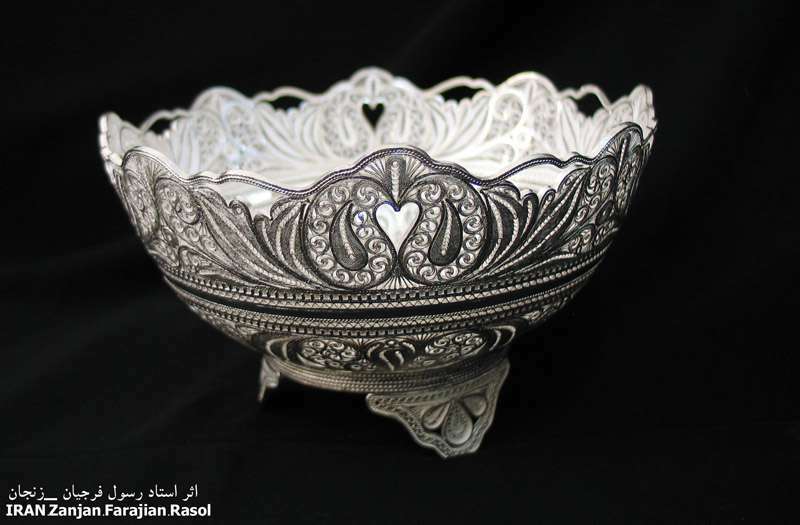 The most important and popular designs in Zanjan are tears and leaves. 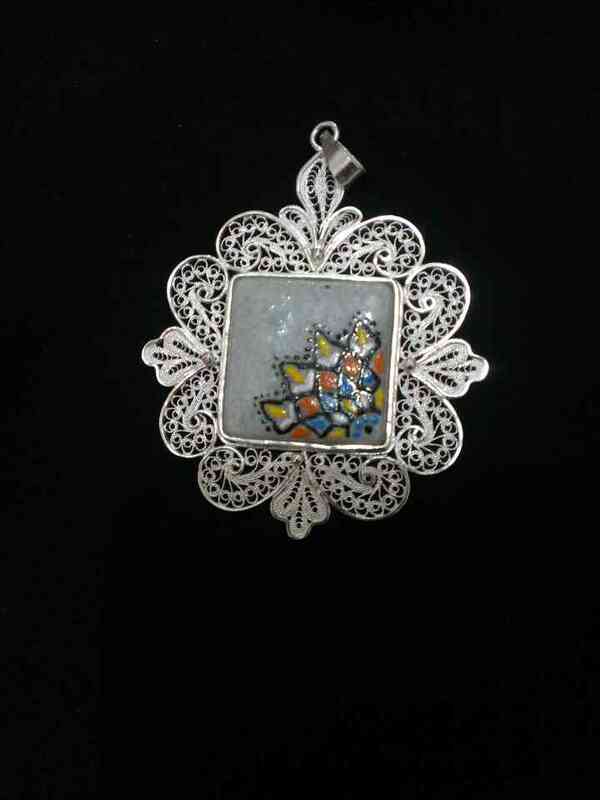 Perhaps the boom of this art goes back to the Seljuk era. However, based on the remains left from the Safavid period, the epoch could be considered as the culmination of its flourishing. 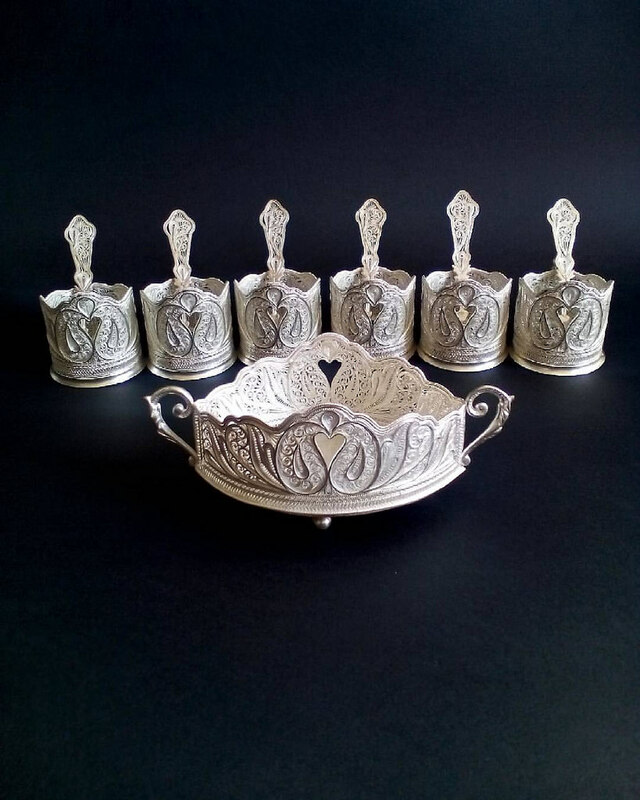 These handmade artifacts are so beautiful and elegant that today they adorn the museums, private art collections and homes of people living in different parts of the world. 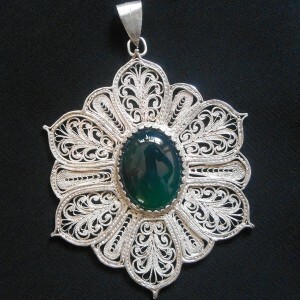 Today, there are about 30 active workshops in Zanjan. The highest quality filigree is produced in Zanjan and it is safe to say the geographical origin of this art is Zanjan. 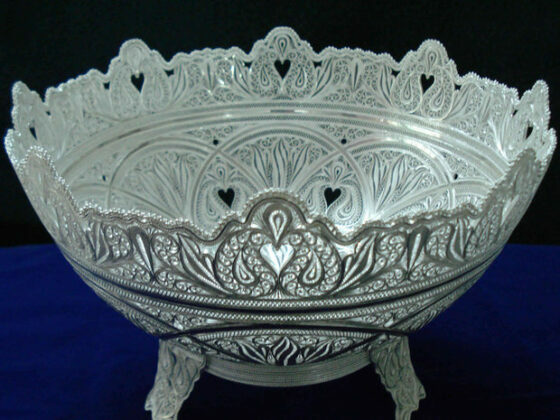 So far, Zanjan has managed to receive 18 national prizes, and three international titles. The ancient Hakimian house in Zanjan, which is currently being renovated, is set to become the National House of Filigree.